Castlebar Concert Band, often fondly known as the Town Band, has been in existence now for many a year and is still going strong. This is the band that can be seen in many public engagements about the town and its environs year on year - parades, football matches, festivals, Peace Park events, and Church concerts to mention a few. 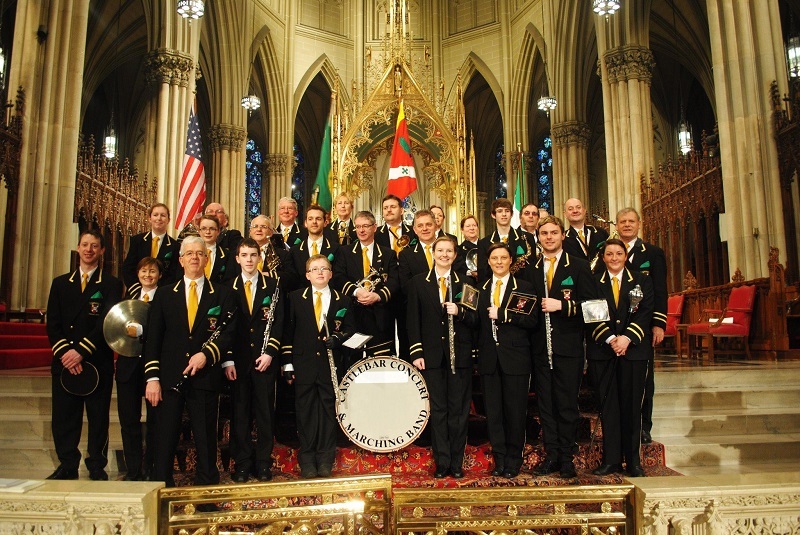 In 2012 the band also participated in New York's St. Patricks Day Parade, leading the Mayo Society of New York down Fifth Avenue. In June the band was involved in bringing St. Eugene's Band (Omagh), the CWU Band (Dublin), Foxford Brass and Reed Band, and Ballina Band of Brass for a great weekend of Brass Band music in what is hoped will become an annual event. The Band at present is under Musical Director Jackie Graham from Ballina and covers a wide range of styles including classical, pop, jazz, and marching tunes. Come and enjoy!